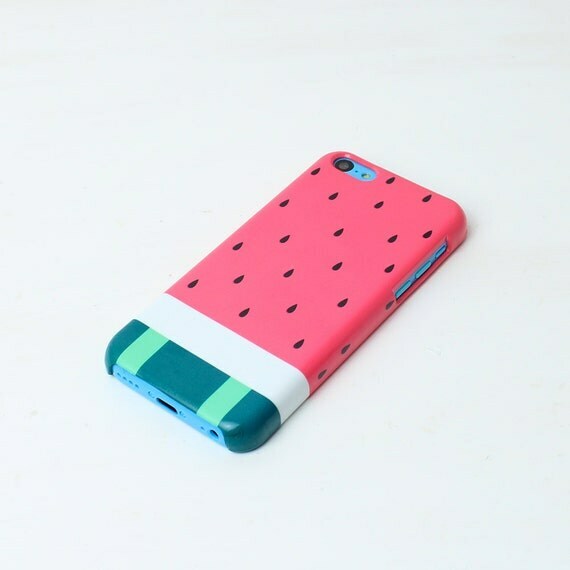 Lately, I am totally addicted to watermelon print. 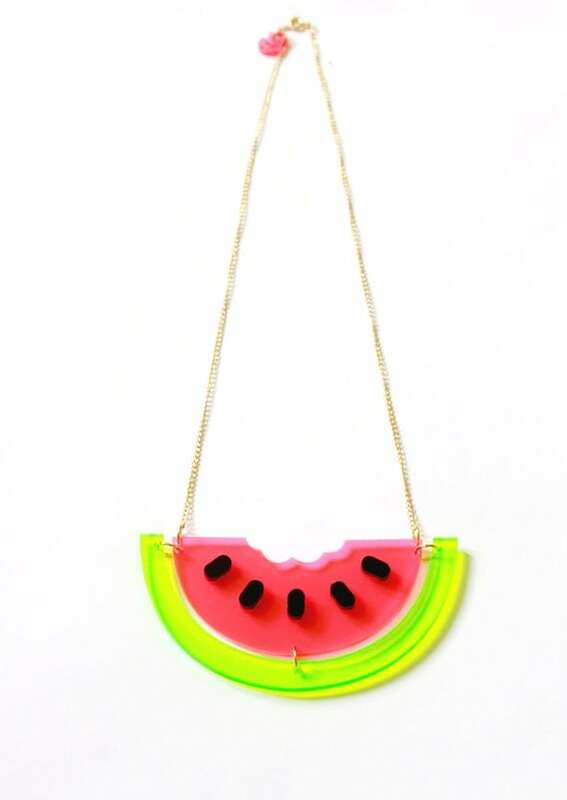 It is so cute and colourful, I want watermelon everything! 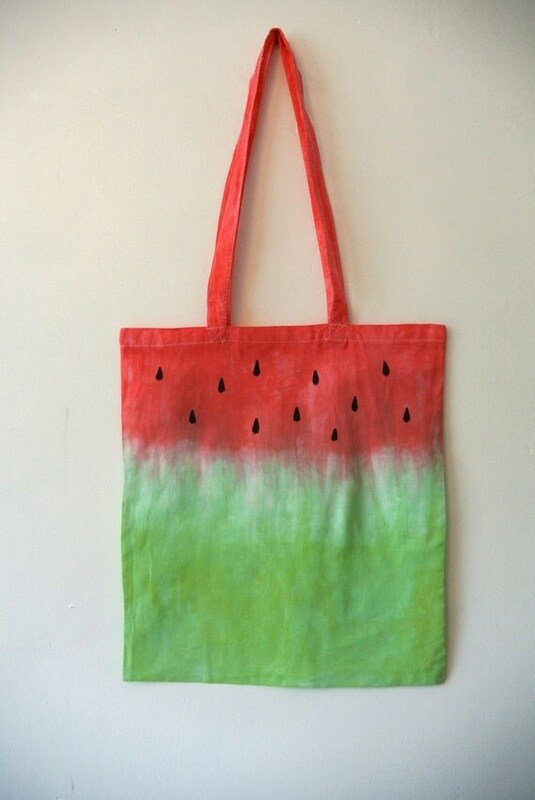 I think it's the contrast of colours, watermelons are so bright and fun, and tasty! The only thing I have right now that is watermelon is the adorable vest top. It's from New Look but is no longer available on their website, however ASOS do have it! New Look Inspire Watermelon Print Vest £8.99. My local New Look did have it in stock when I last popped in so you may get lucky. How ridiculously cute is this bikini? Totally perfect for a summer holiday, or even for just lounging in the garden. I'm a sucker for visible bra straps (classy, I know!) and am really tempted to get this bikini top to wear as a bra just so the print can be visible. I just love this! I'm not much of one for clutch bags, I tend to find I forget I'm holding them and drop them, but this one has the cute wrist strap so might actually work for me. It zips up at the top rather than a popper so is nice and secure for keeping all your essentials safe. I literally squealed with delight when I saw this go on the LMD website. So cute, so colourful, and I love that happy little face. Perfect summer cuteness. I have a really cute Lumpy Space Princess iPhone case but it just started to crack....I think a watermelon case might have to be my replacement! I love a good tote bag. Handy for shopping or for school, and so reasonably priced. This would be perfect for the beach. There is so much adorable laser cut goodness in this shop. I love the cute bite marks, and that the watermelon skin is a separate piece, I think it adds really nice movement. I LOVE the subtle hint of watermelon in this dress. Most watermelon prints are very obvious, this is just that bit classier because it is a small slice of it ;) It's available in everything from an XS to a 4X. Yeah. I think I need this for the office. 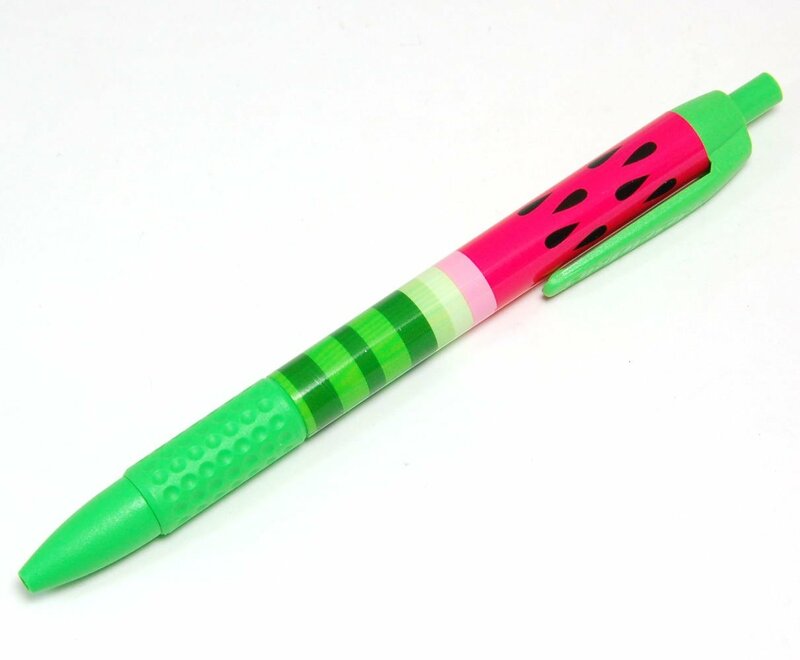 I never have cute pens, and this is the cutest! 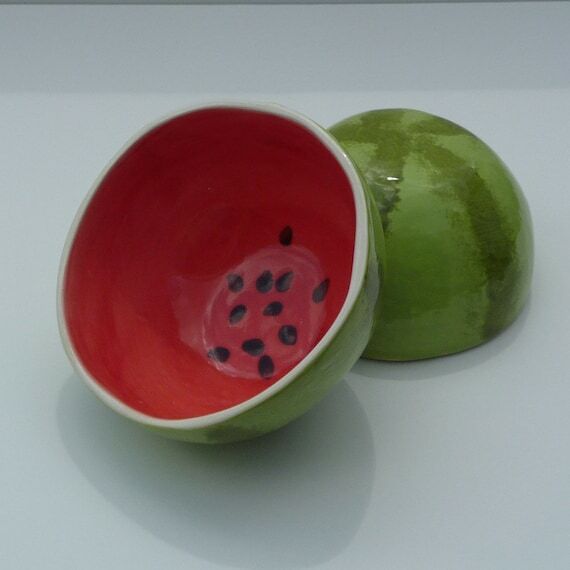 This store sells everything from these mini bowls up to giant serving bowls in watermelon print. I want them all! They are so kitschy and unusual. 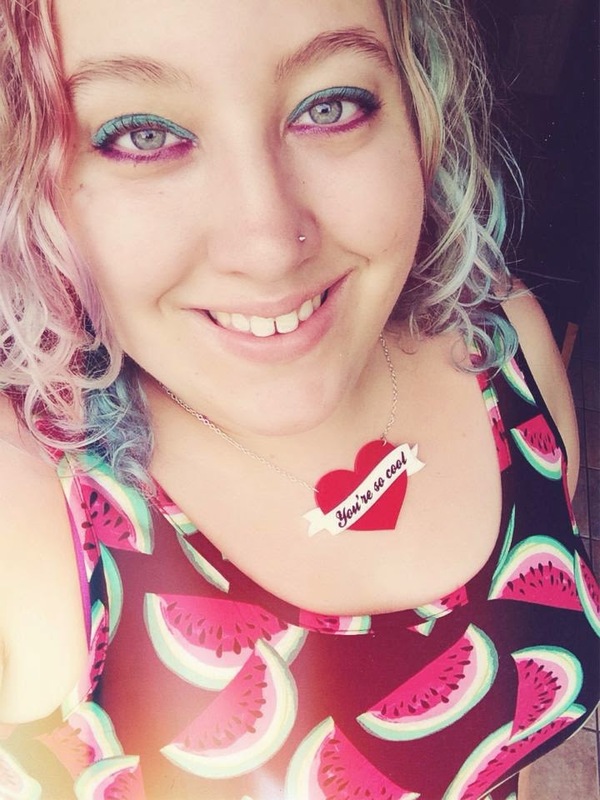 There is SO much watermelon cuteness out there right now, though sadly plus size clothing does seem to be lacking in options so much. If you know of more, tell me, I want a watermelon skirt!